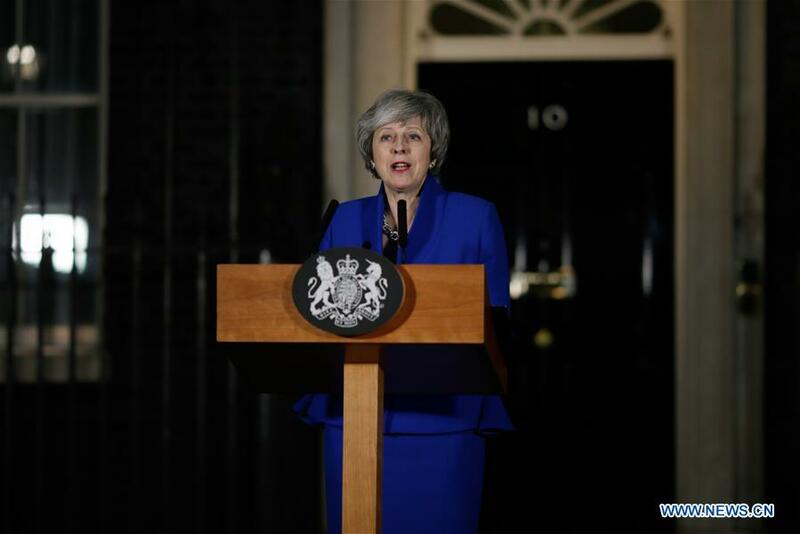 LONDON, Jan. 16 (Xinhua) -- British Prime Minister Theresa May won a confidence vote in the House of Commons Wednesday, averting any immediate risk of an early general election. The vote of no-confidence, put forward by the main opposition Labour leader Jeremy Corbyn, was lost by 325 votes to 306. It meant the government survived by just 19 votes. It means May is now on course to continue seeking parliamentary backing for a Brexit deal to enable Britain to leave the European Union (EU) later this year. May will return to the House of Commons on Monday to present MPs with an alternative Brexit plan in the hope it has more success than the deal rejected Tuesday by a massive margin of 432 votes to 202.